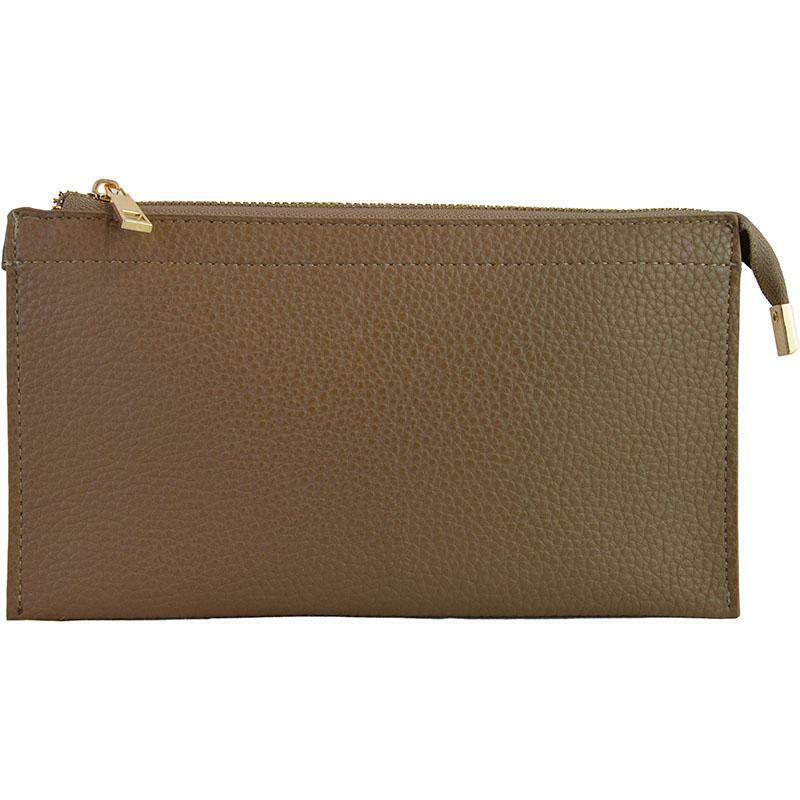 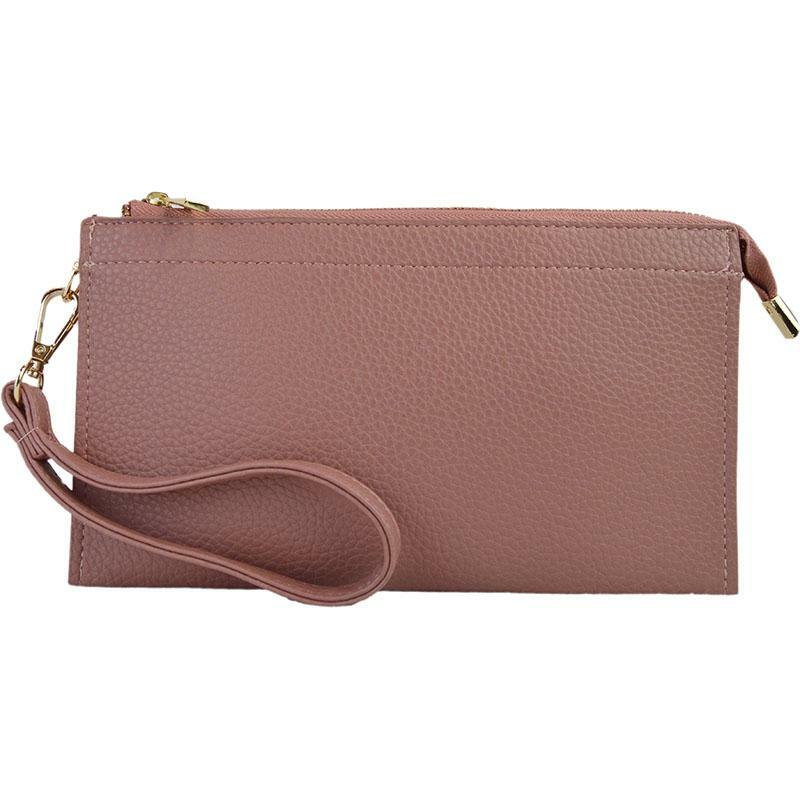 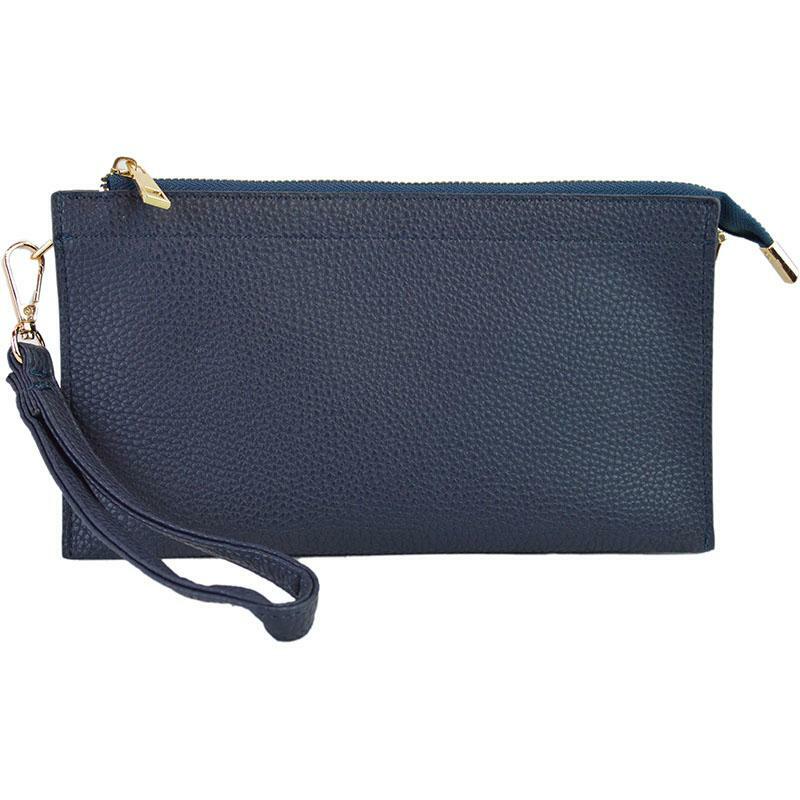 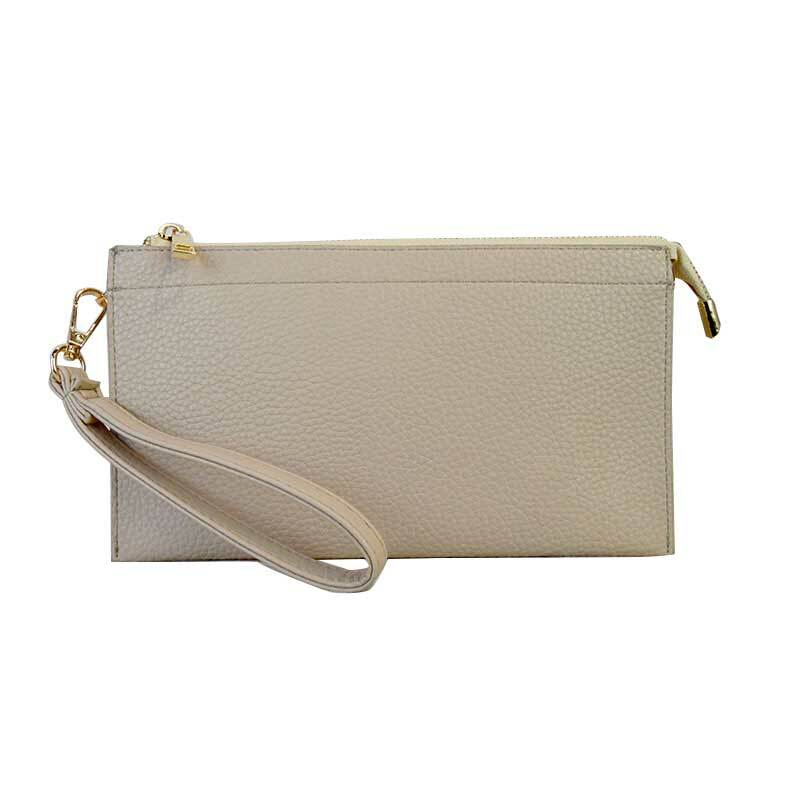 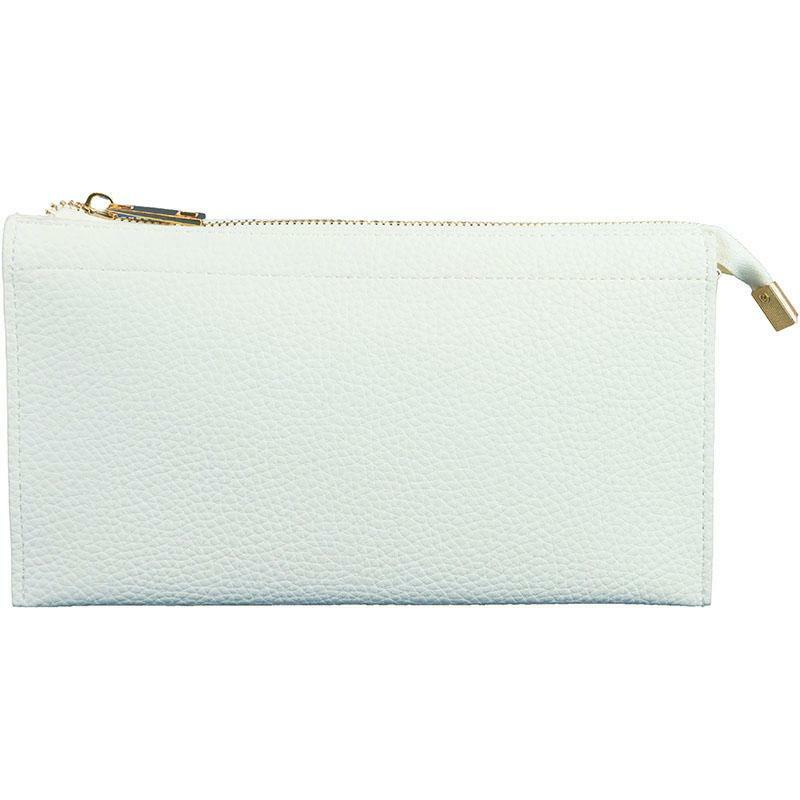 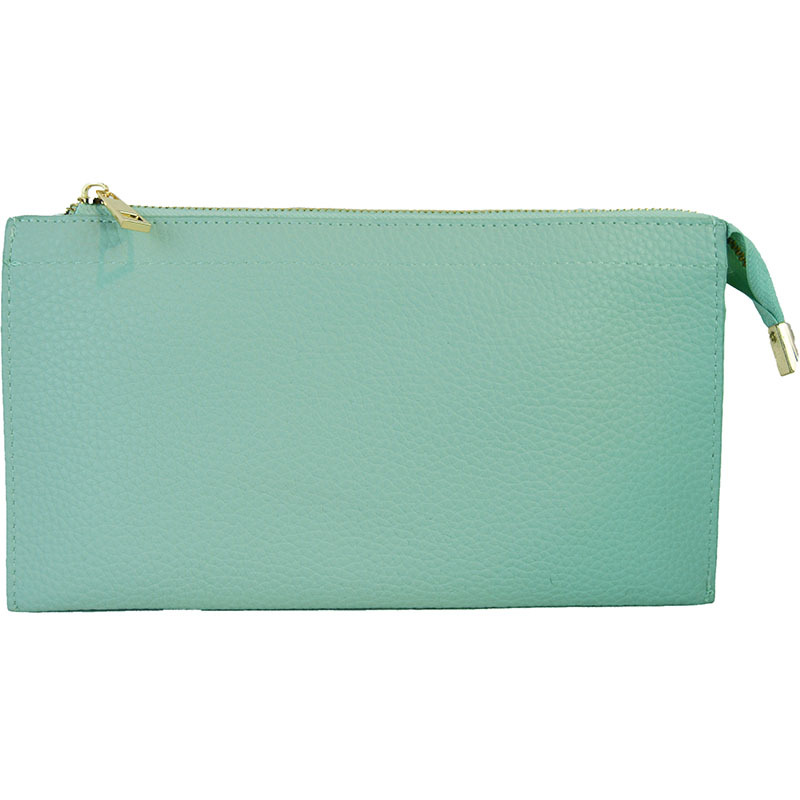 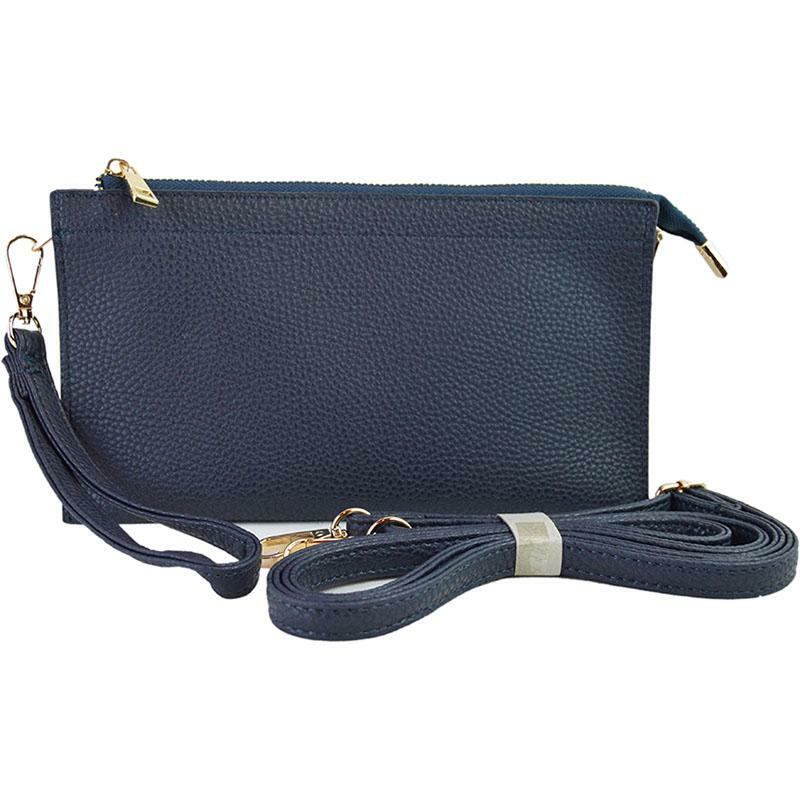 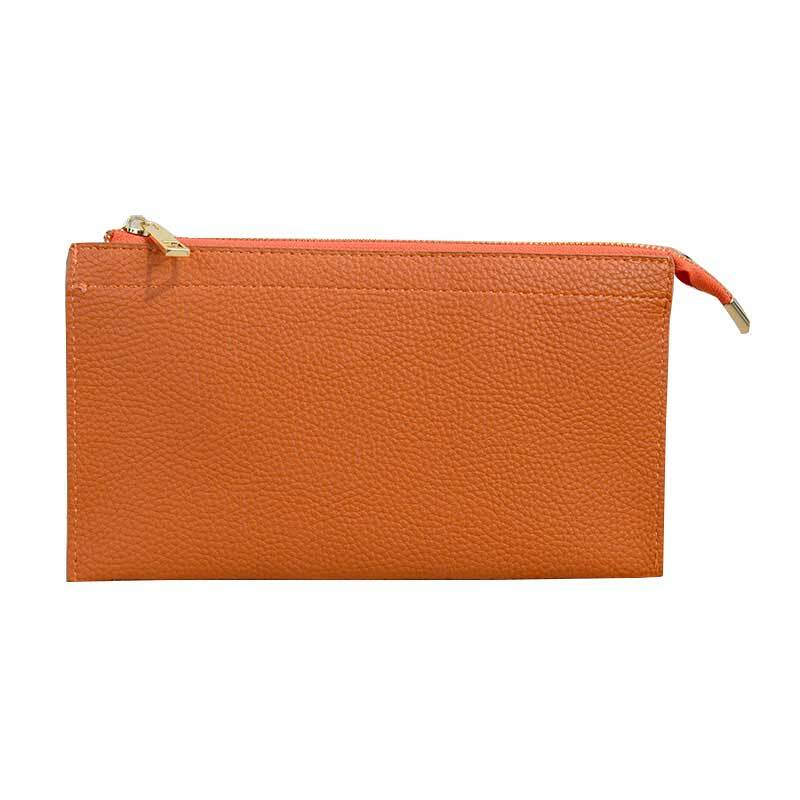 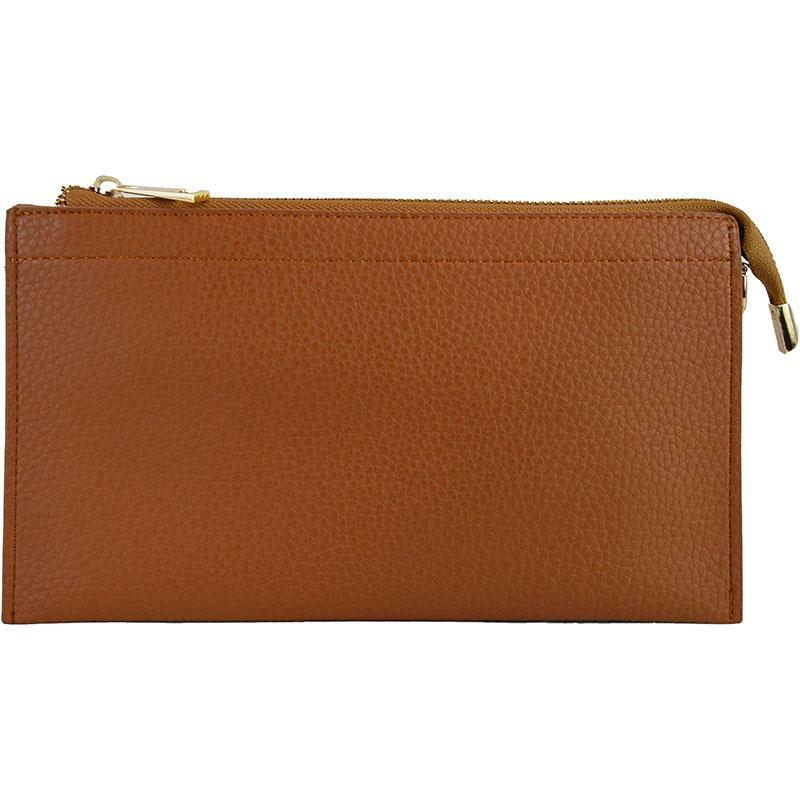 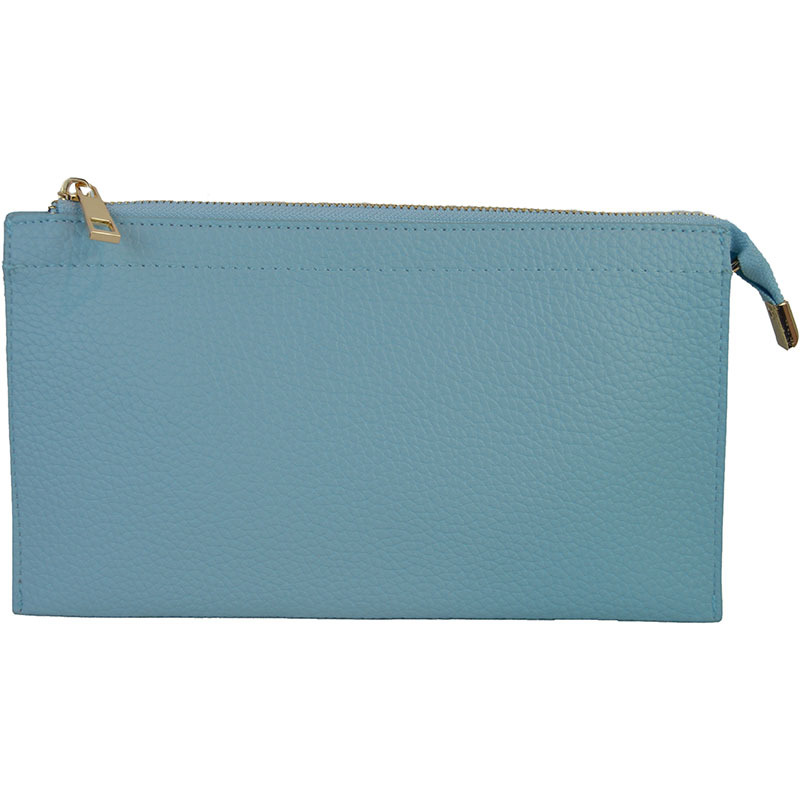 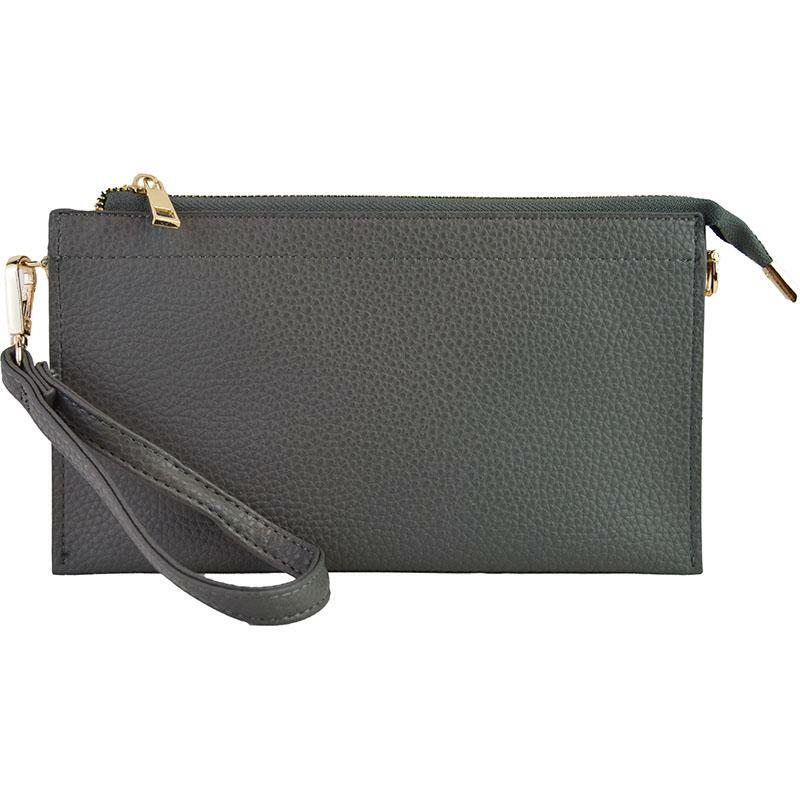 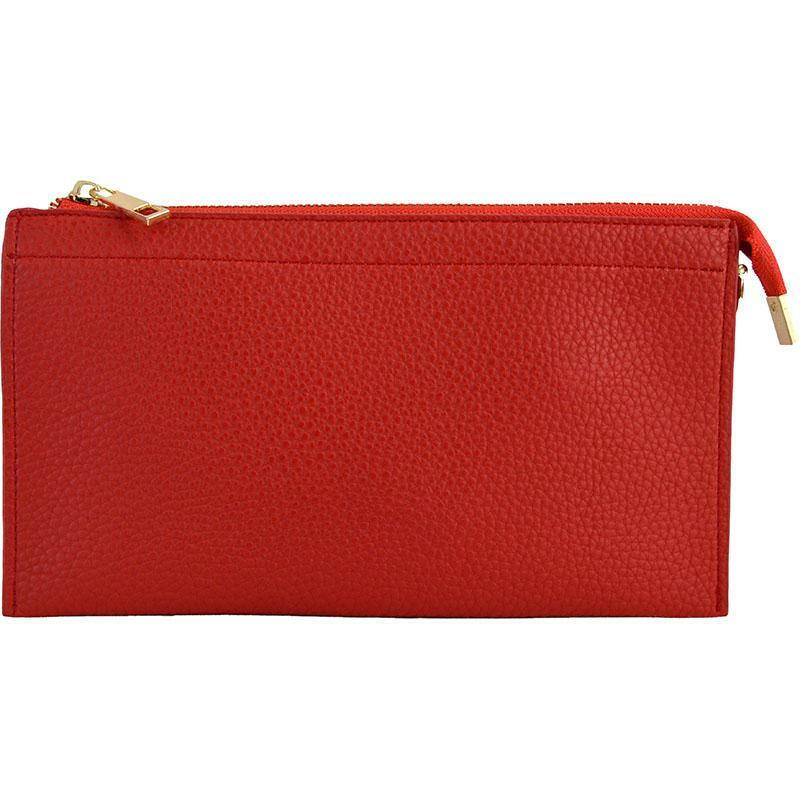 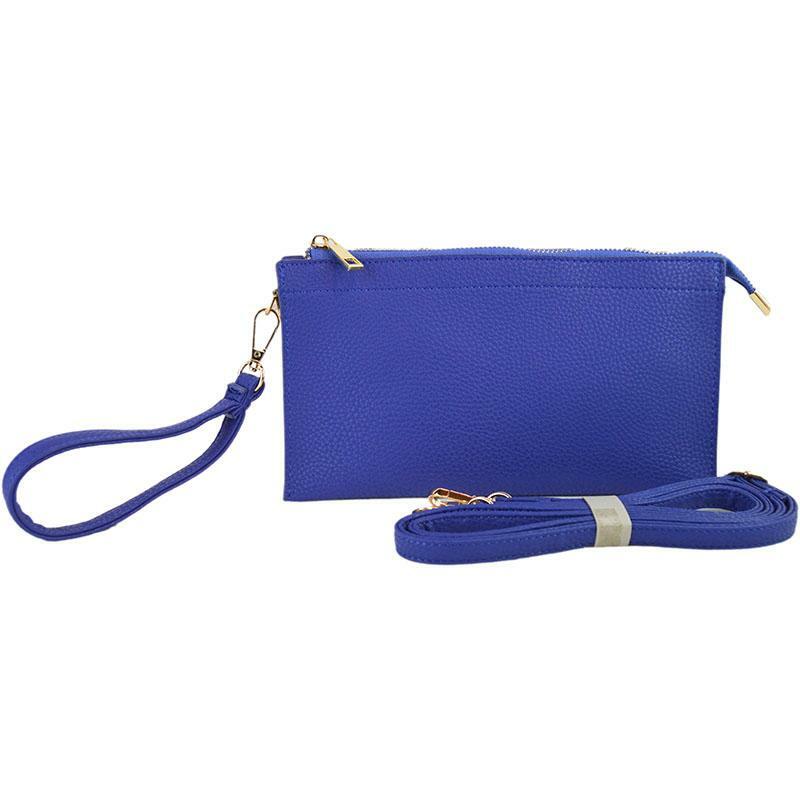 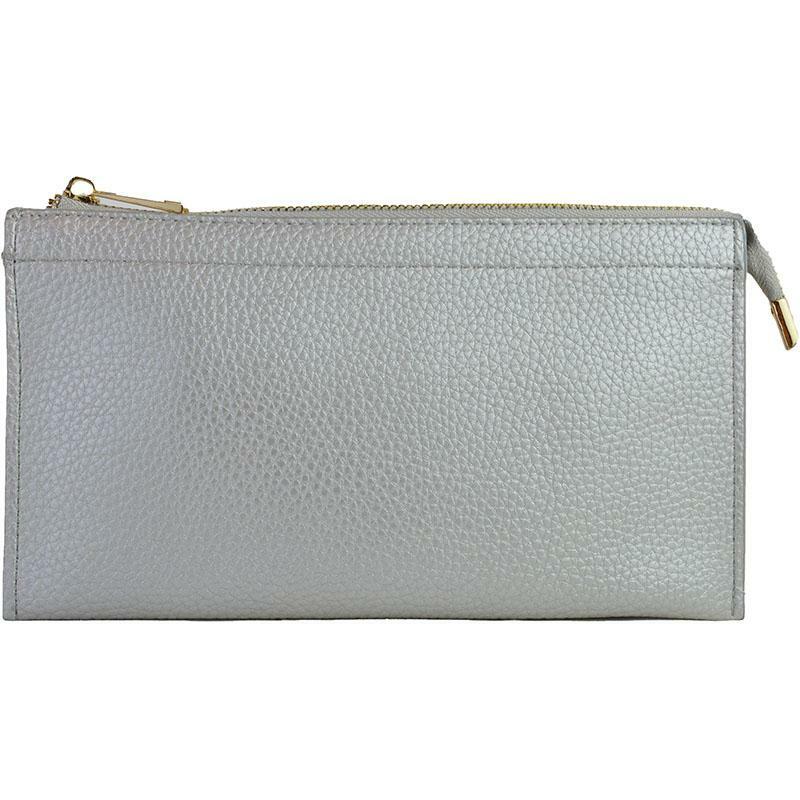 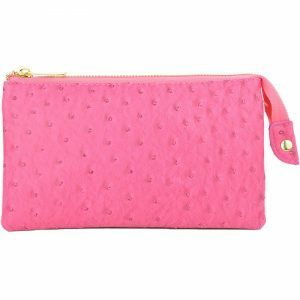 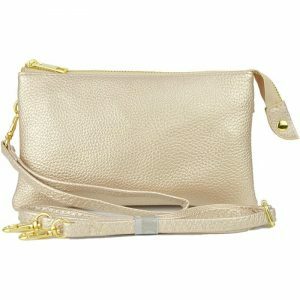 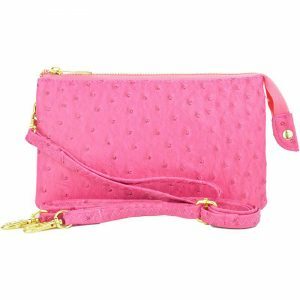 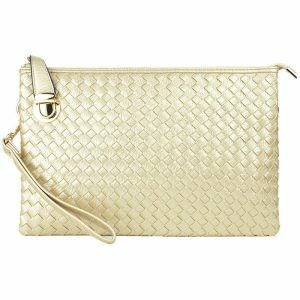 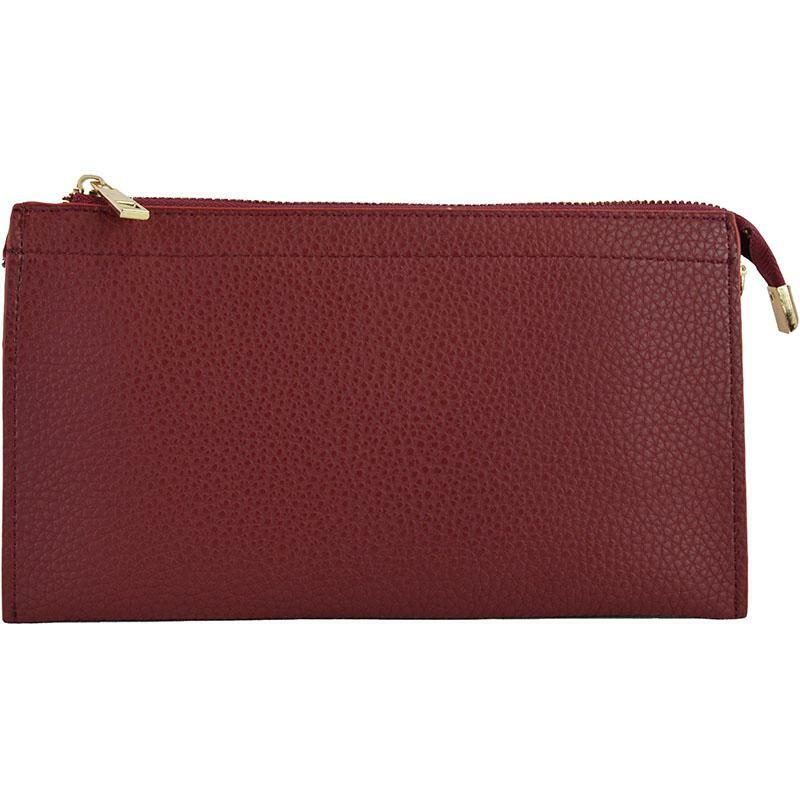 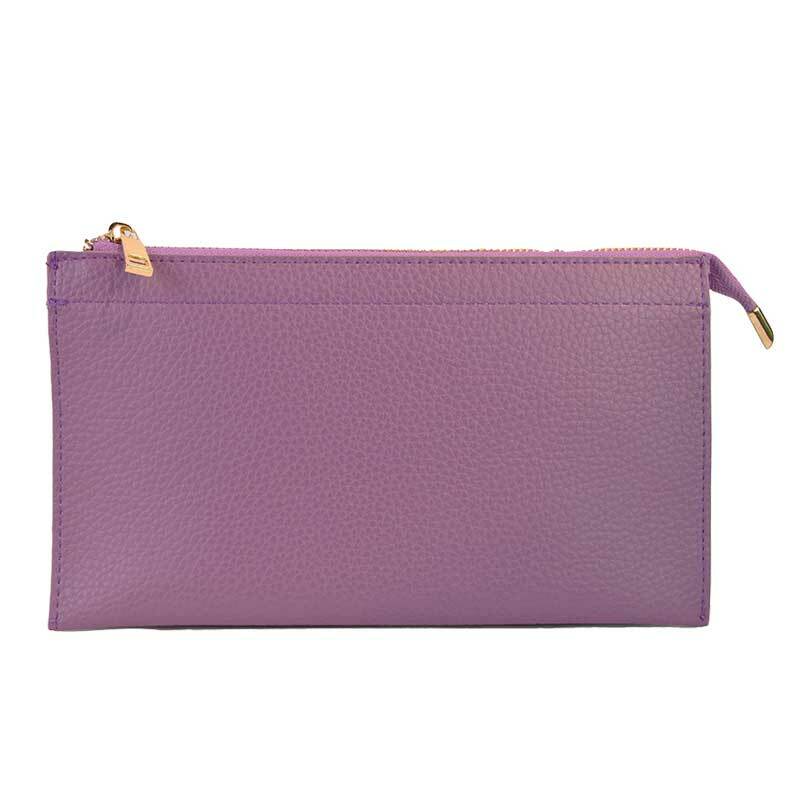 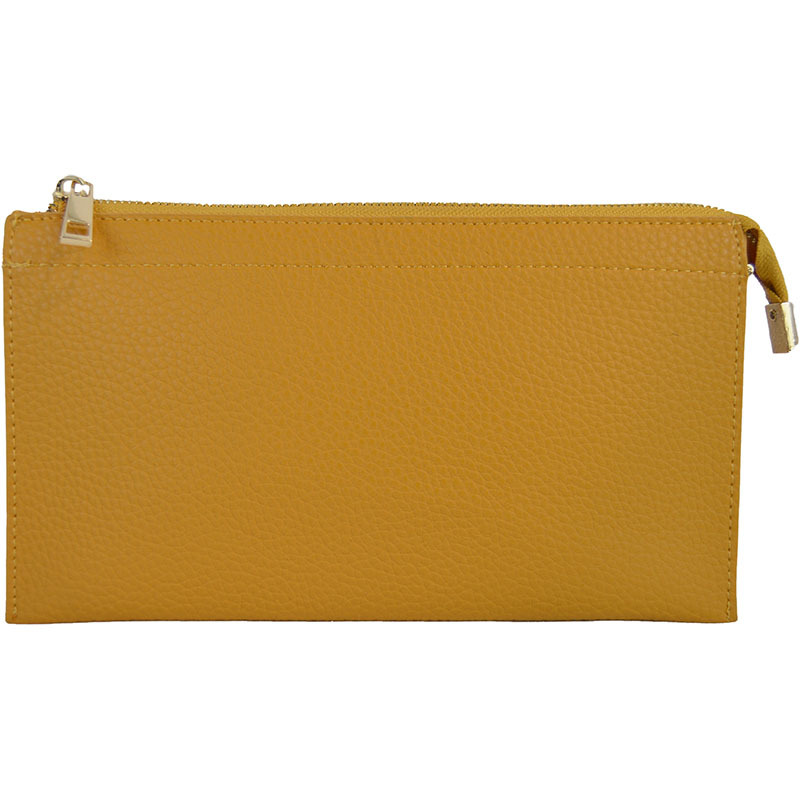 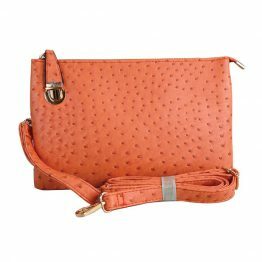 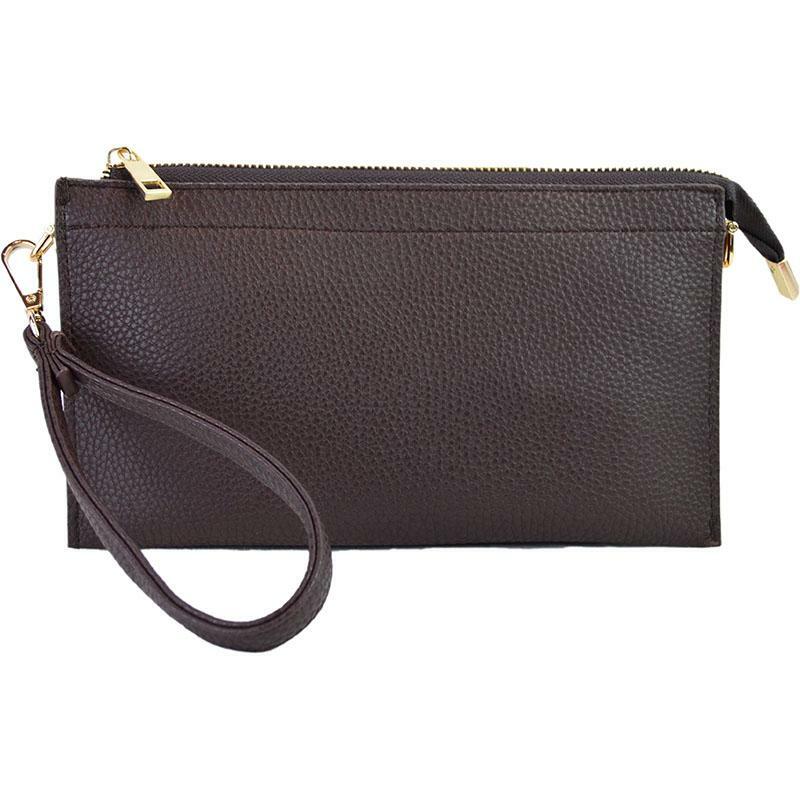 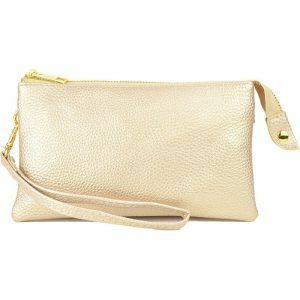 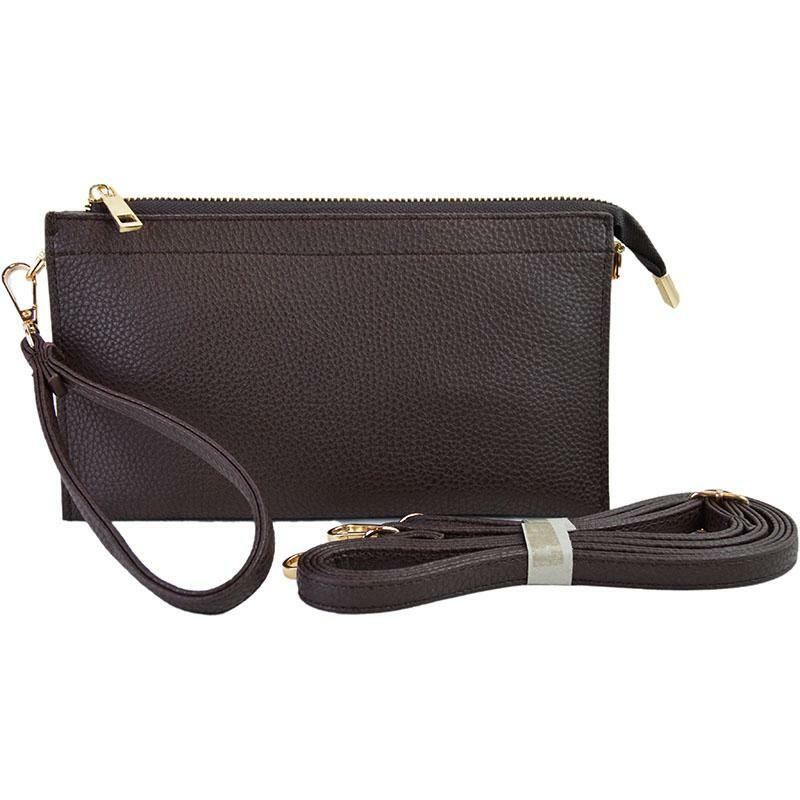 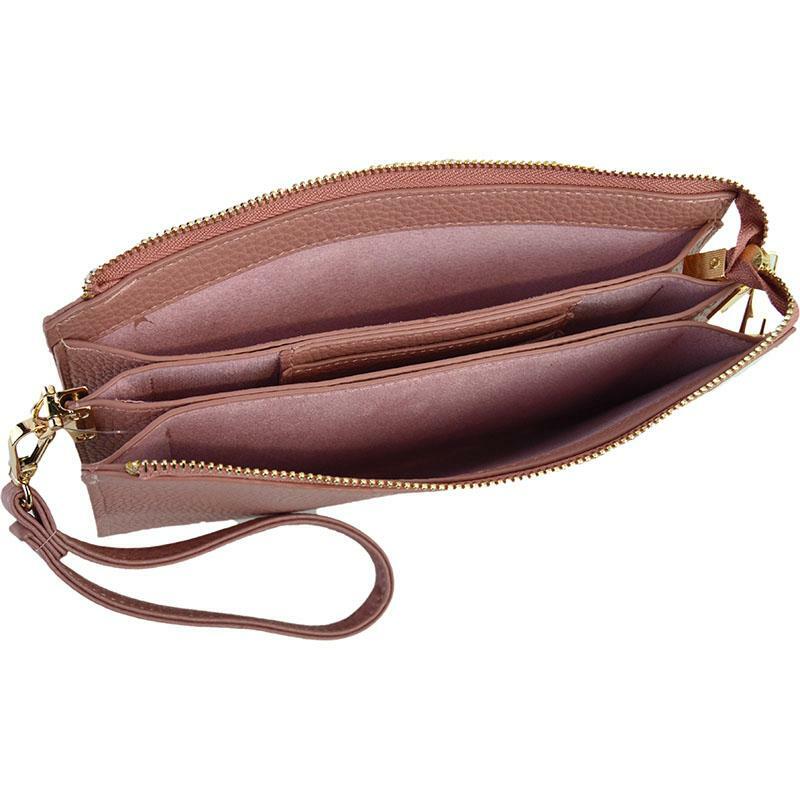 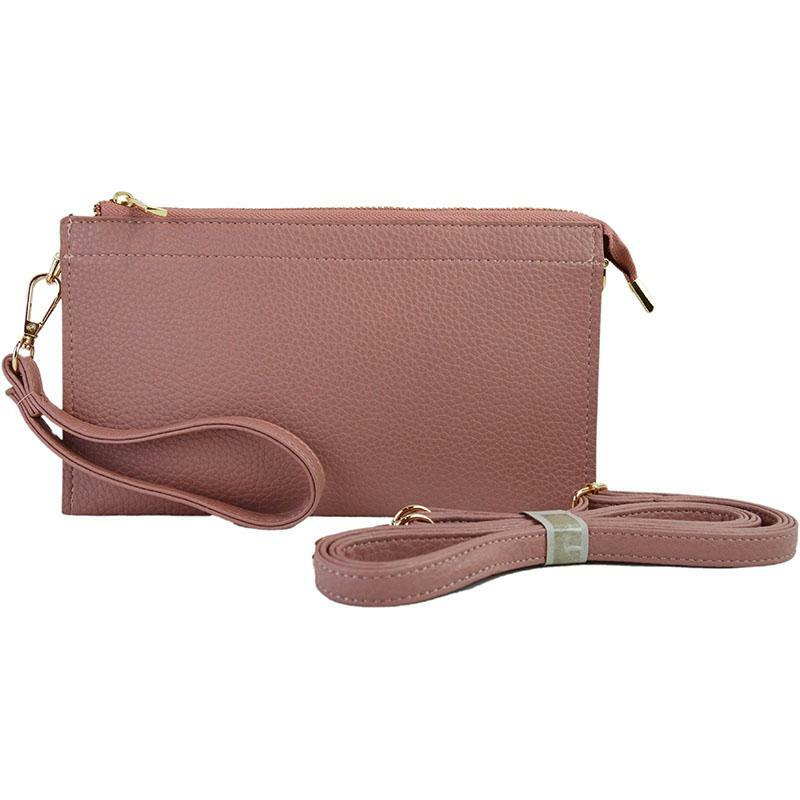 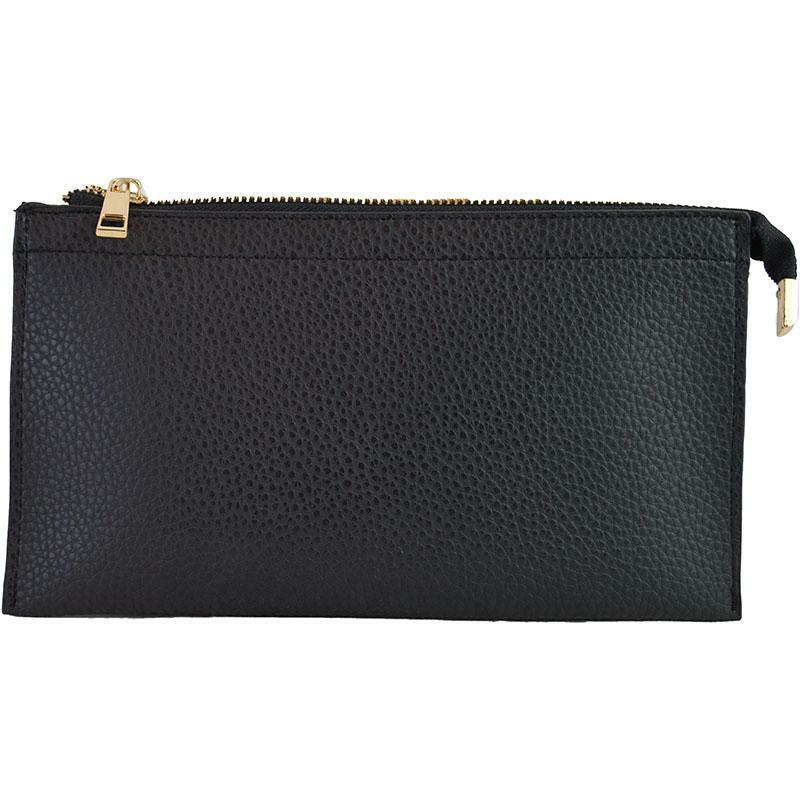 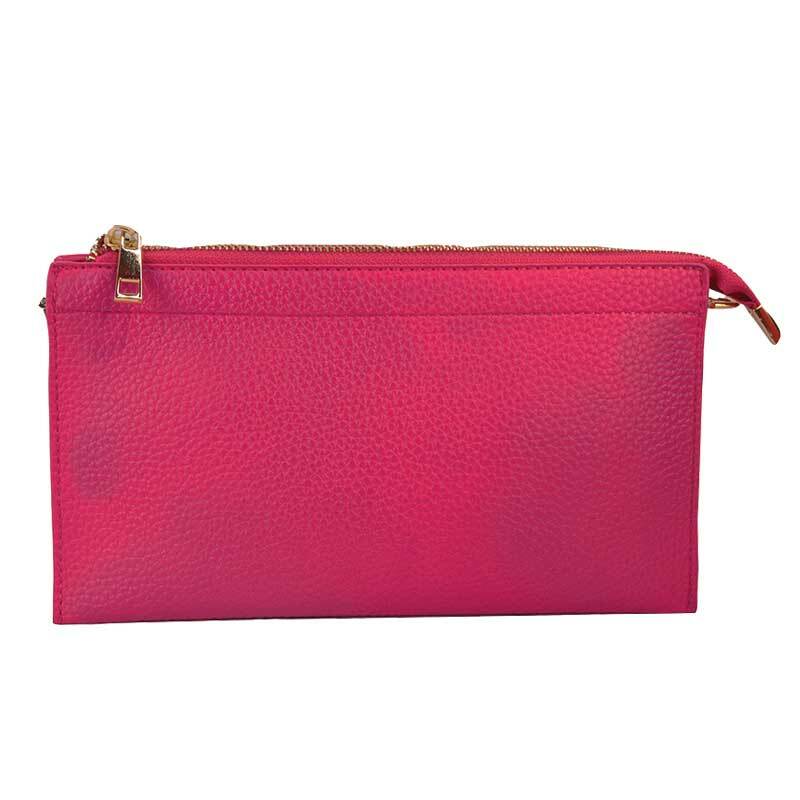 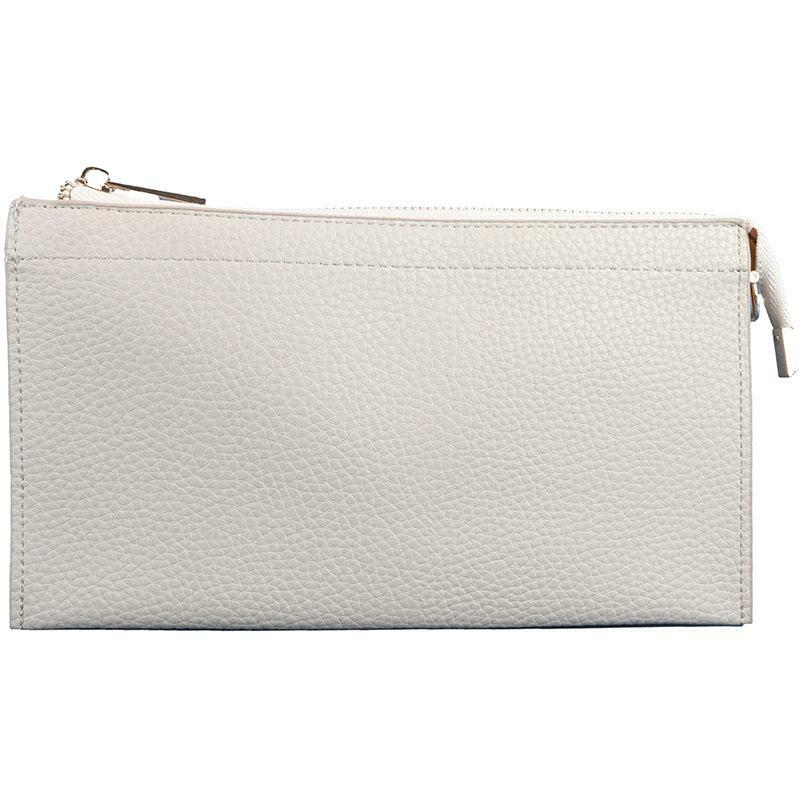 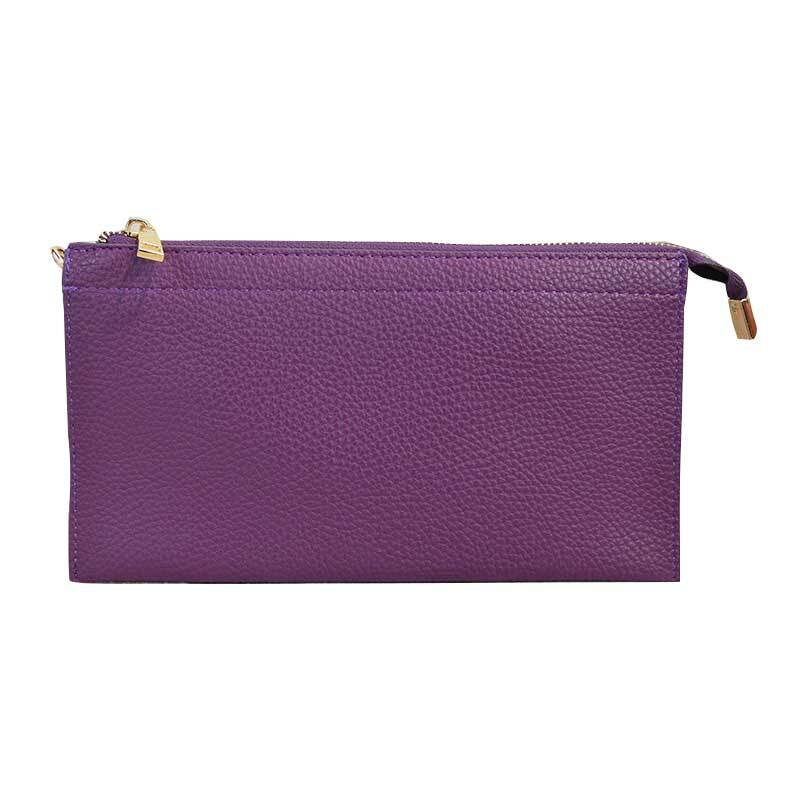 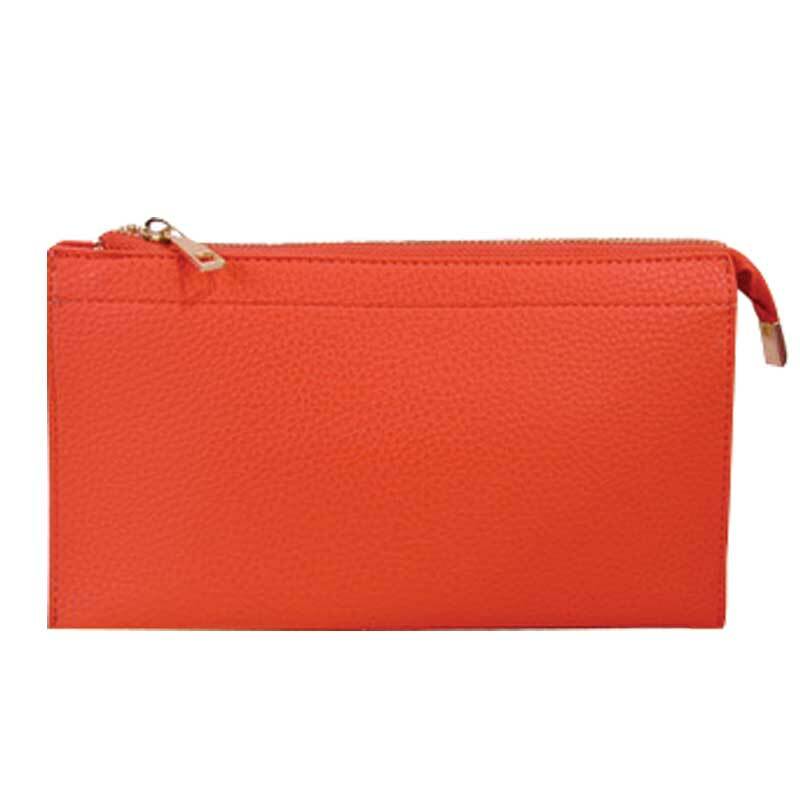 Features: This simple but classic looking wristlet features great storage capacity and usablity. 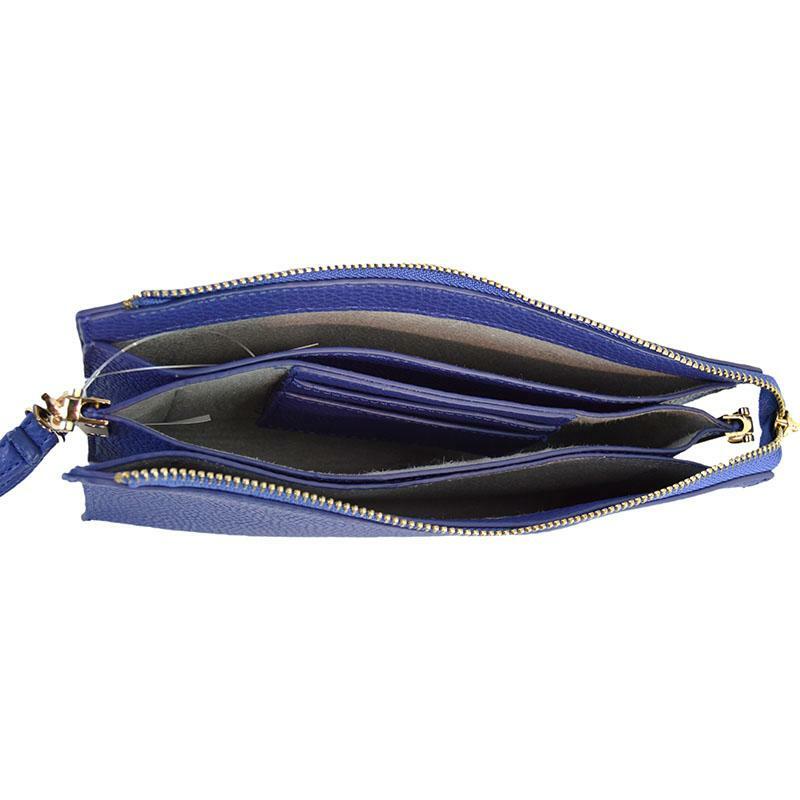 Top zipper closure with 3 major compartments and 2 card holders. 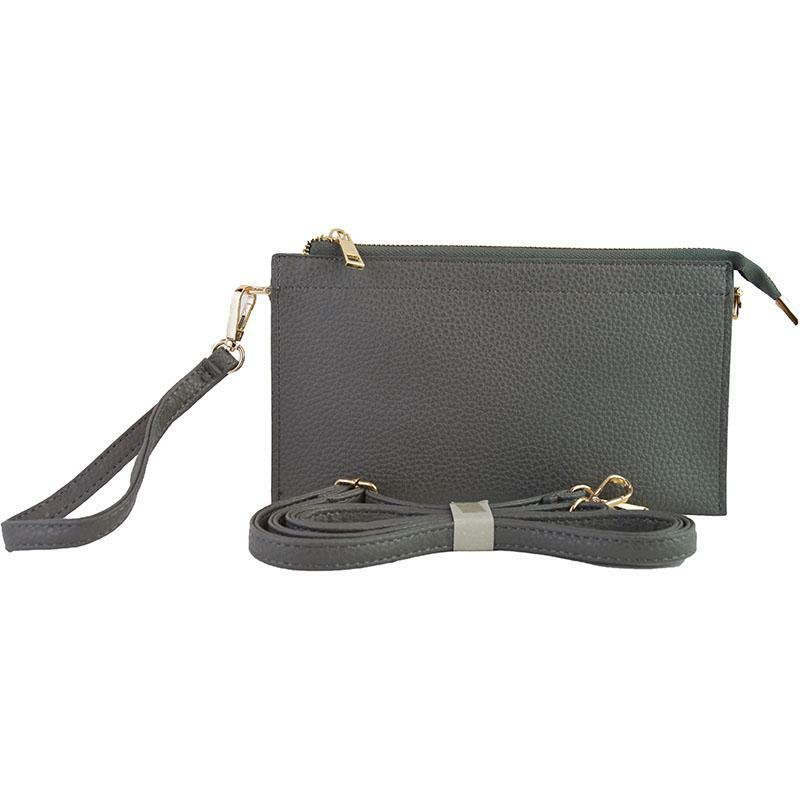 1 detachable 8″ wrist strap and 1 cross-body strap adjustable up to 4.5 feet long. 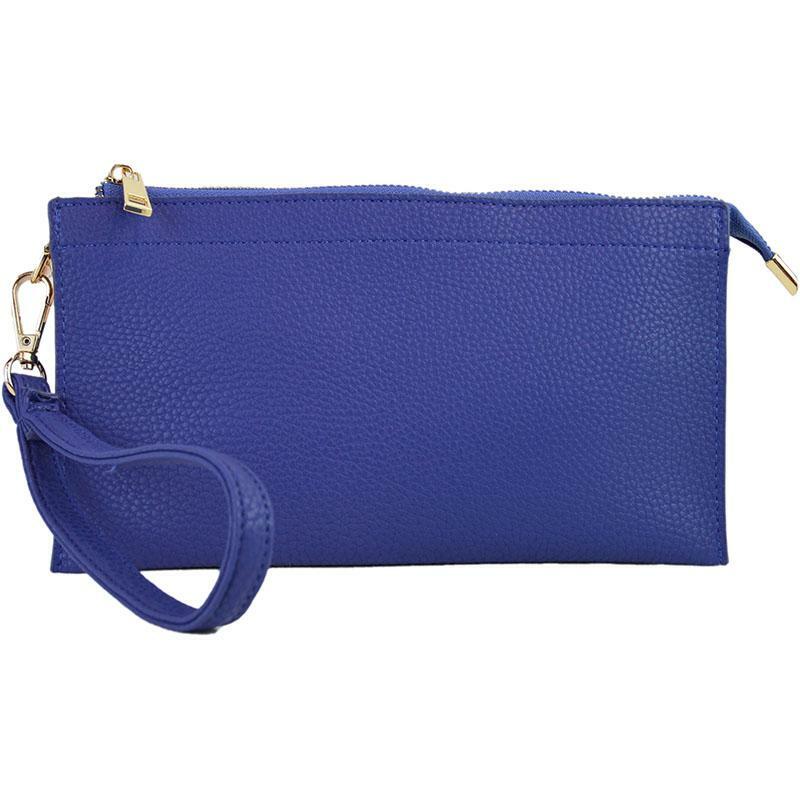 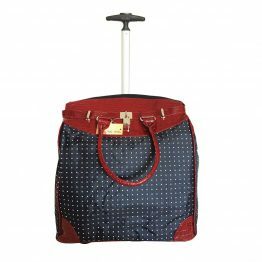 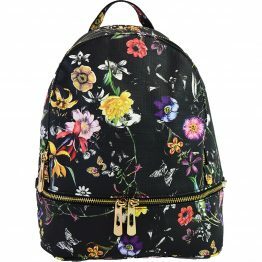 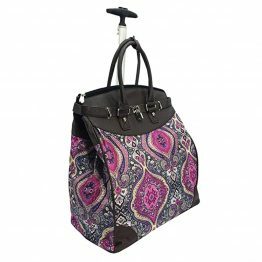 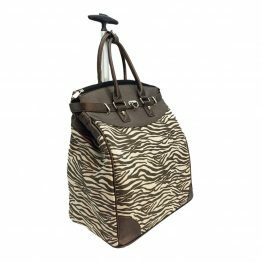 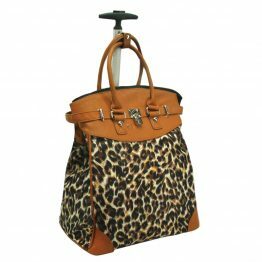 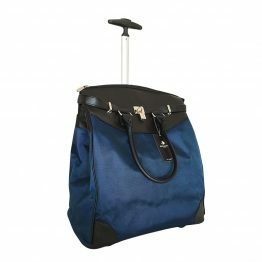 Hard quality faux leather, solid-colored fabric lining, gold-tone hardware. 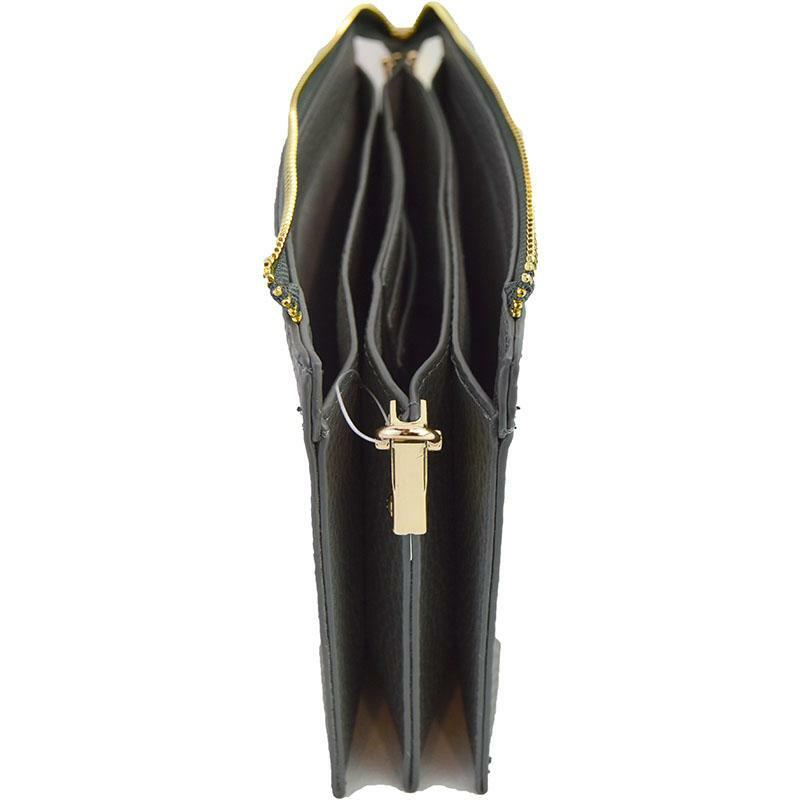 Exterior measures: 9.5″W x 5″H x 1.5″D and is depth expandable. 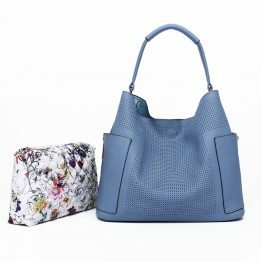 Get the Latest Mayva K Collection Product Updates! 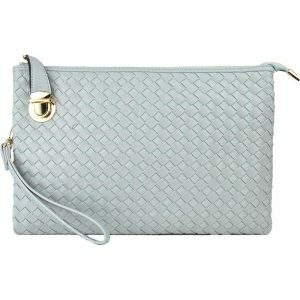 Subscribe to recieve new product additions to the Mayva K Collection.